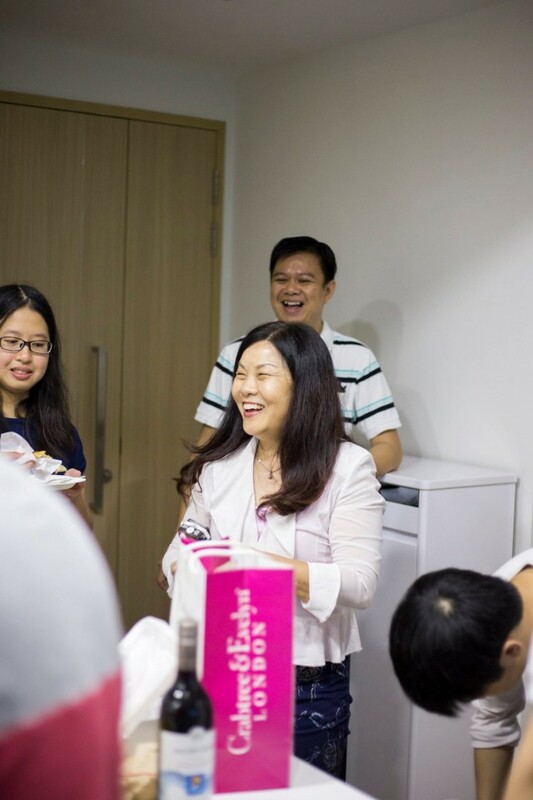 While The URA Centre holds many wonderful memories and the open space gave us the opportunity to meet many new people, including passersby, the indoor air-conditioned comfort in a fellow Pianover’s home was a pleasant change in environment. In the quiet of his apartment, recordings of playing were much clearer, and the large television lent itself perfectly to projecting slideshows. 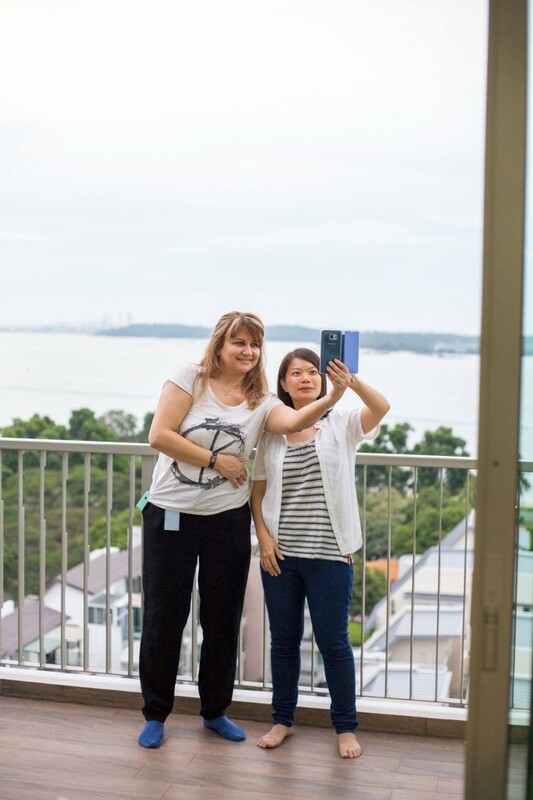 On top of that, the stunning, unobstructed view of the sea from Zensen’s apartment and his spacious balcony certainly added to the highlights of the entire night. 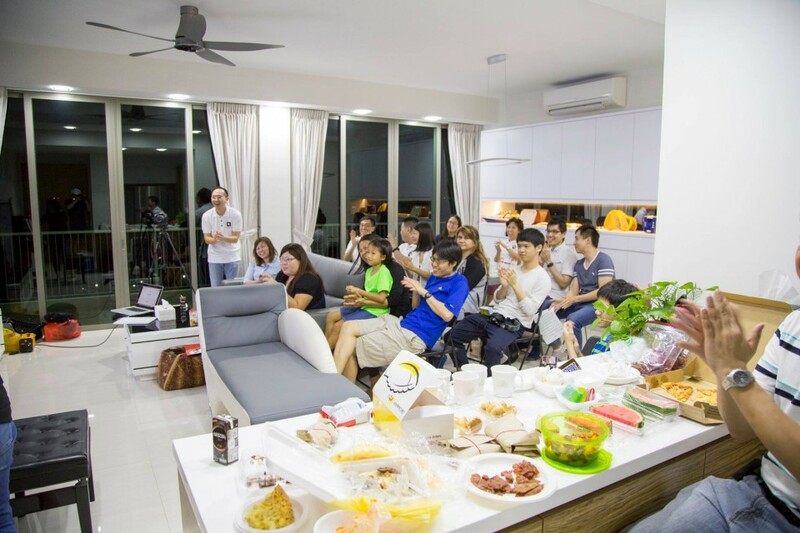 Despite the location at Pasir Ris, we were pleasantly surprised to have a large turnout of about 25 Pianovers, including 8 new faces – Trinity Ang and her mum, Marian, Chun Meng and his dad, Swee Tiang, Gabby, Gladdana, Eunice and Tan Yu Han. Chris Khoo, Jerome and May Ling even showed up with supportive camaraderie in ThePiano.SG polo shirt! 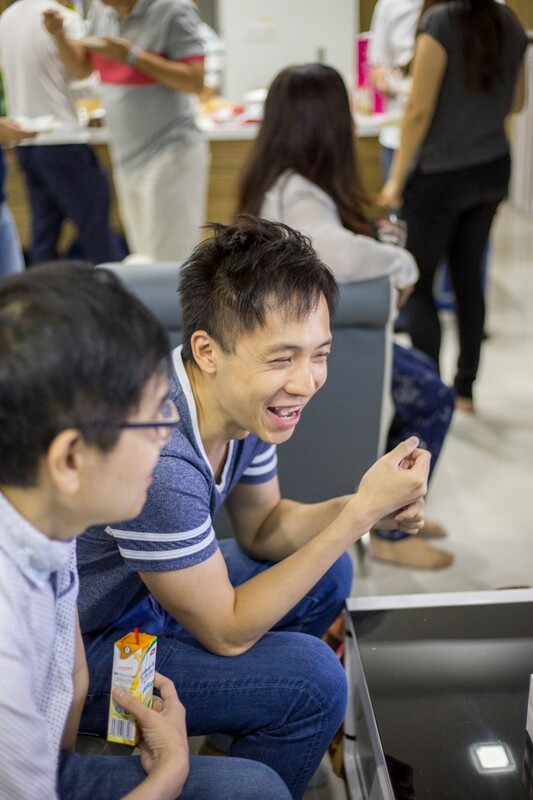 Yong Meng kicked the night off with an inspiring presentation of his vision for the Meetups. 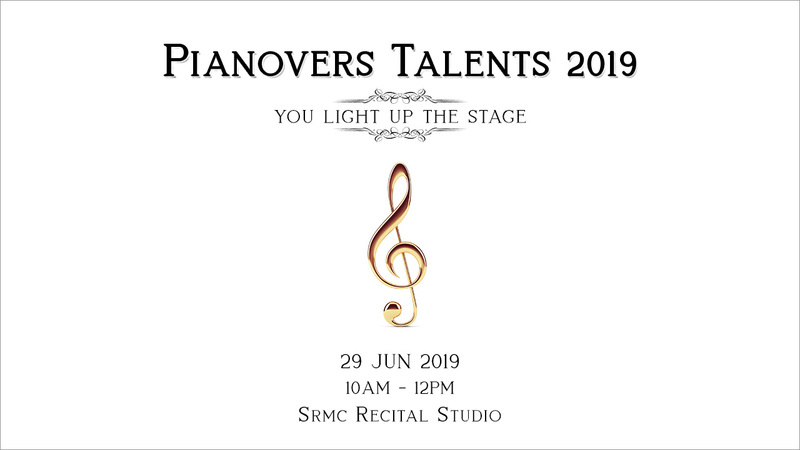 And just like in all our previous meetings, the Pianovers first had their stomachs filled, whetting their appetites for the amazing line up of performers in the registered segment. As we mingled and made new friends, Zensen also gave mini-tours, exciting us by showing his jamming studio filled with keyboards and mixers. In the living room was where the registered segment was held, where a Young Chang piano sat. Starting at 7:30pm, Trinity played a beautiful rendition of La Donna è Mobile, a great effort even if we didn’t get to hear all of it. In solidarity with the grieving people of Thailand, Chris performed the Thai song, Mee Tae Kid Tueng ("Missing You"), by “Bird” Thongchai McIntyre (considered to be Thailand's No. 1 superstar singer), lyrics by Si Tharasot and melody by Weerapat Ueng-umporn. Jerome delighted us with another classic piece, Nocturne in C# minor, Op. Posth. by Chopin. Junn played a tune from the movie The Legend of 1900, titled The Crisis, composed by Ennio Morricone. The movie is known to be one of the few that features a piano composition in its battle scenes. Jia Yong followed with a number very close to her heart from the Hong Kong drama 冲上云霄 (Triumph In The Skies), 岁月如歌 written by 徐伟贤. Because the drama is about flight crews and aircraft maintenance engineers, she particularly loves this song as she is reminded of it whenever she travels by airplane. 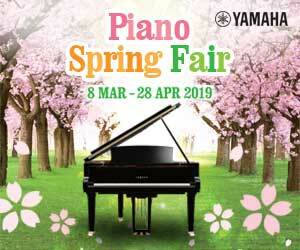 The Pianovers Meetup is always greeted with fresh young talents and really shows the diversity of pianists in Singapore. Last Sunday was no exception when we were treated to an original piece by the talented Wenqing, who dedicated his composition to a girl who coincidentally shares the same name. Another Mandarin song, 城里的月光, was played by Joseph, who rushed over from an audition just to join the group. Dolce, another frequent attendee at the meetups, performed for the first time at the registered players segment, with the piece “Take These Wings". She explained that the lyrics are very meaningful and invited us to chime in with the lyrics of the song projected on the large television set before she played. After the registered segment, many people stayed to indulge in the food and revel in more music. Zensen led the open segment with My Way, encouraging many of the Pianovers to join in the emotional singing. Chun Meng, a shy secondary one student, gathered his courage and enthralled us with Etude Op. 25, No. 1, another composition by Chopin that was initially intended for the registered player’s segment of the night. Jia Yong and Zensen had great fun jamming in the studio to the tune of The Girl from Ipanema, while Jerome entertained us with Raindrops Keep Fallin' on My Head. The mood was at an all-time high by the time Junn led the group into the popular tune Can't Take My Eyes Off You, effectively concluding the 12th Pianovers Meetup on a high note, well past the planned end at 9pm. 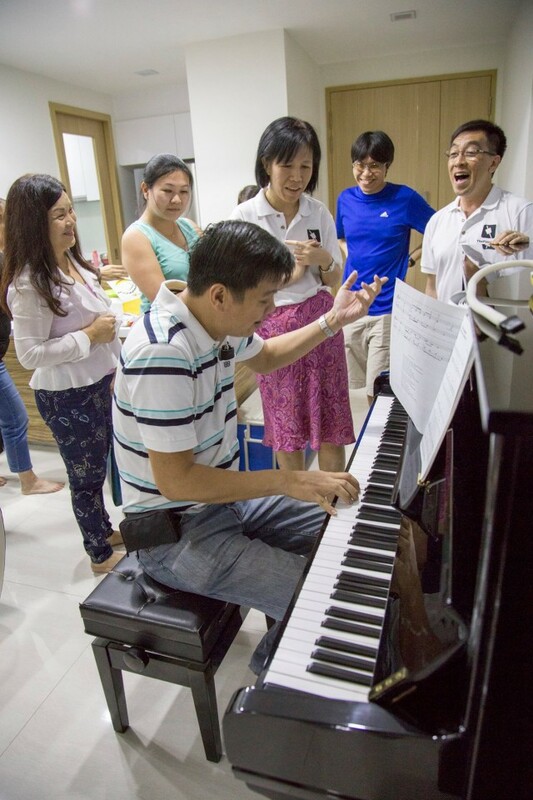 Sheltered from the sweltering tropical heat and noisy traffic, it seemed like the group really thrived and all the Pianovers that were present went home feeling elated and satiated. 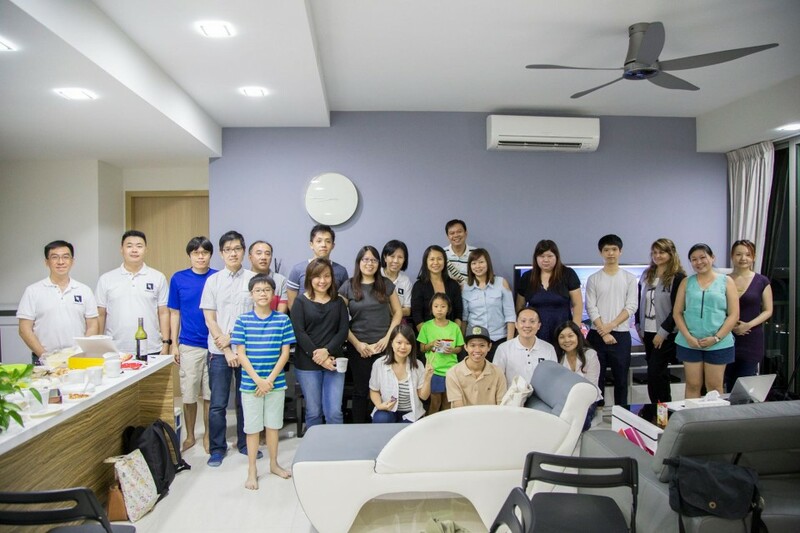 We would like to thank Goh Zensen for graciously hosting the meeting in his home, we’re sure anyone would agree when we say it was a joy to be invited to your cosy abode! Stayed updated on where the next Pianovers Meetup will be, and see you then!